Saavn Media Private Limited and Reliance Industries Limited's (RIL) Jio Music have launched JioSaavn to create South Asia's largest streaming, entertainment and artist platform. Saavn Media Private Limited, a subsidiary of Reliance Industries Limited (RIL), on December 4 launched JioSaavn, South Asia's largest streaming, entertainment and artist platform. JioSaavn represents the official integration of JioMusic, India's most popular music app, and Saavn, India's leading global over-the-top platform. The new integrated JioSaavn app will be available across all App Stores including the Jio app store, on JioPhone, as well as, at JioSaavn. Reliance Industries Ltd announced the acquisition of Saavn in March 2018. The implied valuation of the combined entity is over US$1 billion, which makes it the most valuable music streaming platform in South Asia, and among the most popular in the world. JioSaavn combines the streaming media expertise of Saavn with Jio's digital services ecosystem. Jio is India's largest digital services network with over 252 million subscribers. The integrated app has a massive addressable market opportunity both in India as well as for the Indian diaspora. The service will be offered on a freemium model in India with all users having access to the ad-supported product. Jio subscribers would enjoy seamless access to the integrated app. Additionally, as part of this launch, Jio users will also get a 90-day extended free trial of JioSaavn Pro, the streaming service's premium product. Speaking about its launch, Akash Ambani, Director of Reliance Jio, said, "JioSaavn represents a turning point for the music streaming industry in India, as the country continues to experience accelerated tech innovation, rapid adoption of digital services, and a digital music industry at par with global leaders. Powered by Jio's advanced digital services infrastructure and complemented by its widespread user base, JioSaavn will be the largest streaming platform in India." JioSaavn is now supported by the resources and connectivity of India's most powerful digital services network. It will continue to build on Saavn's groundbreaking Original Programming and artist development platform, Artist Originals (AO). Saavn's Original Programming, which has redefined the development, marketing and distribution of original audio entertainment, produces and exclusively distributes some of India's most popular audio podcasts, like '#NoFilterNeha', 'Thank You For Sharing', 'Take 2 with Anupama and Rajeev', 'Talking Music' and 'Kahaani Express with Neelesh Misra'. Rishi Malhotra, Paramdeep Singh and Vinodh Bhat, the co-founders of Saavn, will continue in their leadership roles to drive the growth of the company. JioSaavn's team, which consists of more than 200 employees, also continues to operate out of its five global offices at Mountain View and New York in the United States and Bengaluru, Gurugram, and Mumbai in India. Rishi Malhotra, CEO of JioSaavn, stated, "Since announcing our merger in March 2018, the Jio and Saavn teams have been working to integrate and reimagine a combined platform in JioSaavn. Today, we have one of the most personalized and capable media platforms in the world, an unmatched content catalog, regionalized editorial and original programming and music that's redefining how artists and creators connect directly with audiences worldwide." 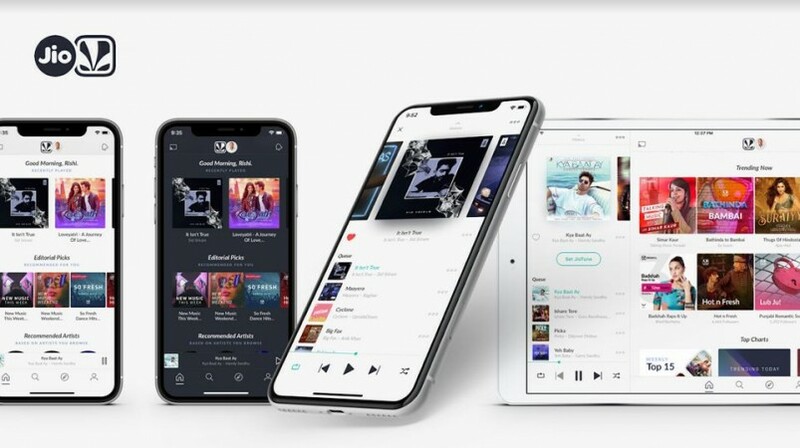 Paramdeep Singh, Executive Vice Chairman of JioSaavn added, "The launch of JioSaavn marks a new era for music streaming in India and, the global music industry at large. Combining the scale and quality of the Jio network with our highly engaged product experience, JioSaavn is positioned for a steep growth trajectory that will benefit the entire ecosystem of label partners, brand advertisers, and independent artists to bring content, commerce and culture together."